Students from Pre-Primary to Year 6 are provided an Italian language and cultural program at Spearwood Primary School with Mrs Maria Gorman. 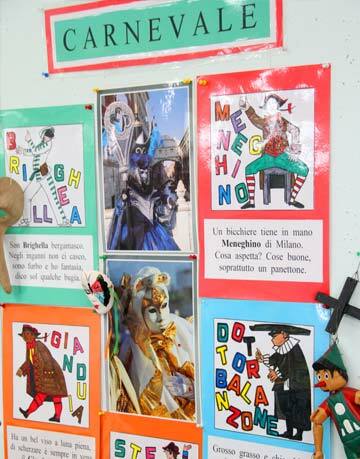 Our cultural program is structured to develop students understanding of Italian by explicitly teaching the key concepts and skills required for language acquisition. Language learning broadens students’ horizons to include the personal, social, and employment opportunities that an increasingly interconnected and interdependent world presents. The interdependence of countries means that people in all spheres of life have to be able to negotiate experiences and meanings across languages and cultures. It has also brought the realisation that, despite its status as a world language, a capability only in English is not sufficient, and a bilingual or plurilingual capability is the norm in most parts of the world. We recognise that many Spearwood Primary School families already have an alternative first language. The Western Australian Curriculum: Languages operates from the fundamental principle that for all students, learning to communicate in two or more languages is a rich, challenging experience of engaging with and participating in the linguistic and cultural diversity of our interconnected world. The curriculum builds upon students’ intercultural understanding and sense of identity as they are encouraged to explore and recognise their own linguistic, social, and cultural practices and identities as well as those associated with speakers of the language being learnt.